It’s a breezy hike, with smooth footing and only 200 feet of elevation gain, making this an easy stop while you are out exploring for the day. Want to see more? 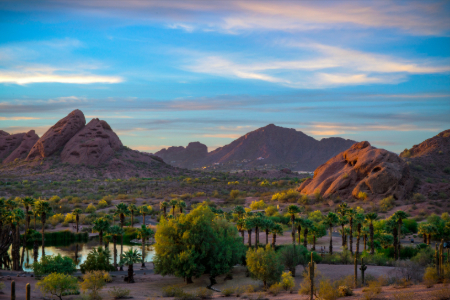 The Phoenix Zoo and Desert Botanical Garden can also be found inside this striking park. 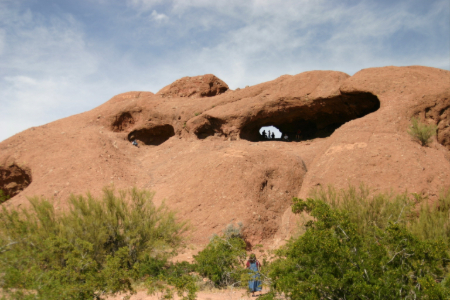 To visit Hole in the Rock, park at the West Buttes Parking Lot near Van Buren Street and Galvin Parkway.